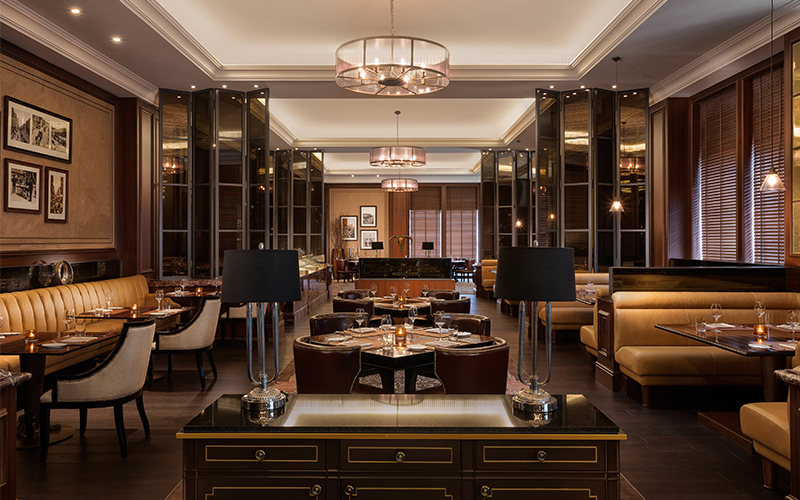 Walking into the recently re-branded World Cut Steakhouse instantly makes you feel at home with its cosy ambiance, black and white pictures on the walls, marble surfaces and dark hues of beige and brown, married with wooden and leather furnishings. Previously known as J&G Steakhouse, the restaurant’s design draws inspiration from the traditional American steakhouse and really embraces its identity with sophistication. 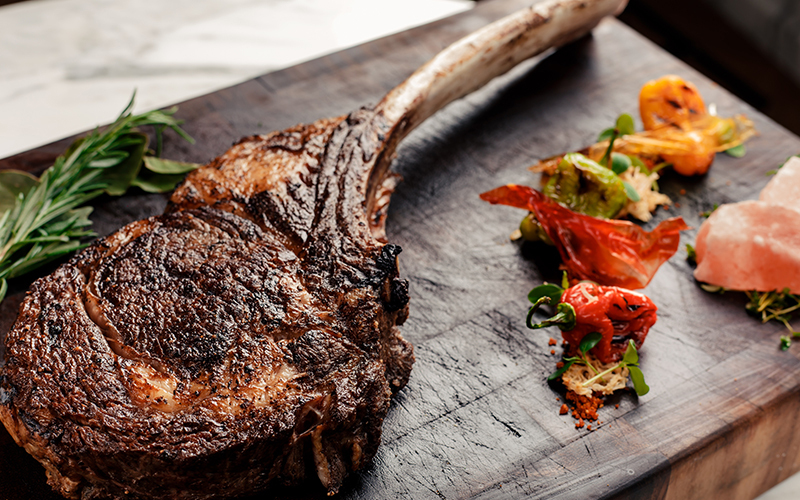 The menu at World Cut Steakhouse truly spoils you for choice. From hot and raw starters, oysters, salads and soups, and entrees including options from the sea – there is something for everyone, and that’s before we even get to the mouthwatering beef selection. To start, the yellowfin tuna tartare marinated with ginger and spicy radish on a bed of avocado is perfectly balanced, while the seared scallops with fennel foam and caviar are delicate in flavour, but a joy to eat. Offering a spicy, but well-received kick, the grilled black pepper octopus with tarragon puree, onion and lime packs so much flavour, is meaty and tender – I’d highly recommend giving it a try. Naturally, steak is the jewel on World Cut Steakhouse’s menu. Opt for a cut of beef to your liking for main course – there’s everything from tenderloin and bone-in rib eye, to flank and tomahawk. The restaurant also features a raw counter, where you can hand-pick you steak. Our server presented us with a selection of steak knives to choose from before our main course came to the table, and as the steaks arrived, a condiment trolley serving a range of mustards, salts and seasonings pulled up tableside to personalise our experience – touches that really make the evening a tailor-made to our liking. On the side, don’t miss the truffled macaroni and cheese – it’s honestly the best I’ve ever tasted. If you have room after the hearty meal, the dessert menu awaits with classics such as cheesecake. Refined, helpful and extremely accommodating the team at World Cut Steakhouse are every bit professional at what they do. Ask for Thor when you’re there, he’s incredibly friendly and knowledgeable on the menu’s offering – he’ll make sure you’re well catered to. World Cut Steakhouse is the perfect venue for sharing a romantic meal with your other half or alternatively an intimate meal with a group of friends or family for some high-quality food, fantastic service and an all-round luxury experience. Want to go? Priced at around Dhs400 for three-courses without beverages. For more information or to make a reservation, call 04 435 5577. If you enjoyed this article, you may be interested in reading more of our online reviews here.